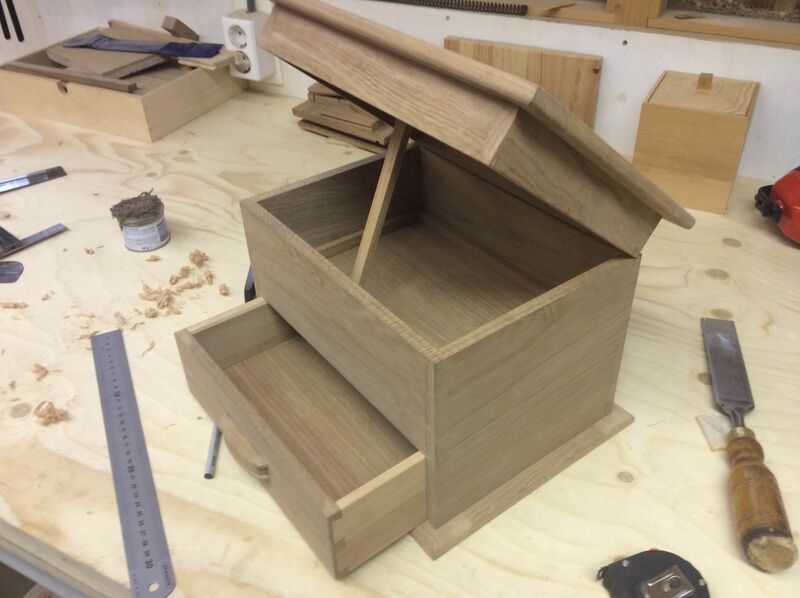 After the top and bottom were glued on I sawed the box in two to create the lid. This was actually a lot less scary than I thought it would be. I just took my time, stayed between the lines and before I knew it I was done. 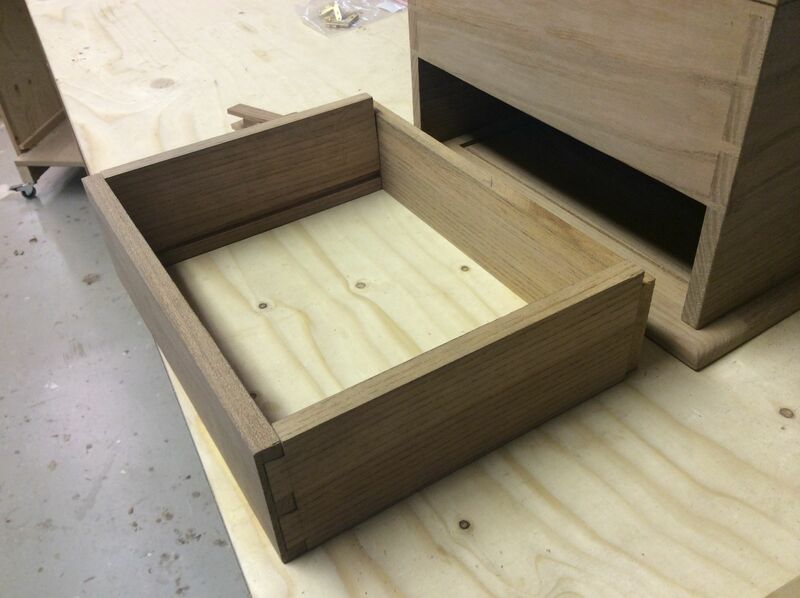 I cleaned up the saw cut with a plane to make sure the lid fit onto the box with no gaps. Of course I still needed to install the hinges, but this basically meant the lid was done. 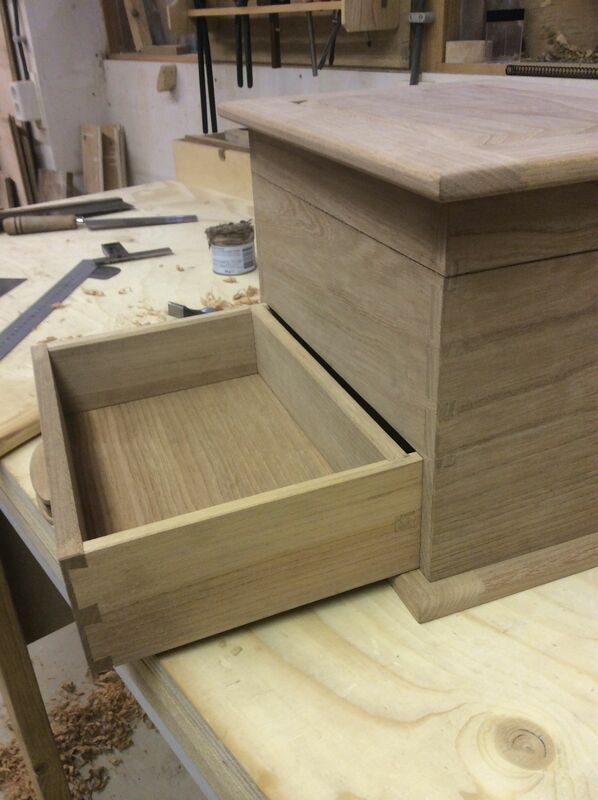 Creating the drawer took almost as long as doing all the dovetailing for the box. 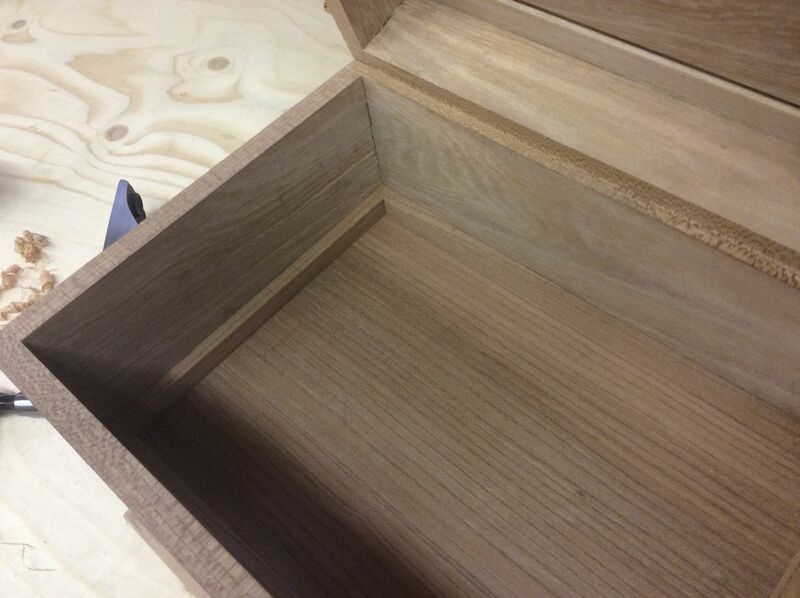 I guess this is because making a drawer is like making a box that’s got to fit exactly inside another box. I think that’s tricky.